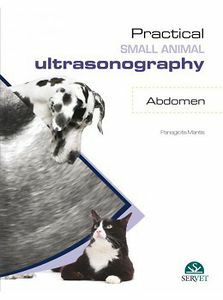 Practical small animal ultrasonography - Abdomen aims at being a quick visual guide to abdominal ultrasound in dogs and cats. The different chapters have been grouped according to the anatomical area being examined. Each chapter contains the technique and normal appearance, examples of variations from normal, and technique exercises where applicable. Quite a few images per chapter and videos with scanning techniques in the electronic version of the book enrich this practical work. A must for beginners in abdominal ultrasonography in small animals.